Home Beyond the BorderThailand	April is for Songkran Splendours! Fun, frolic and fiestas make an integral part of Thai culture. All through the year, Thailand keeps its visitors mesmerised with a myriad range of celebrations – from traditional Thai festivals to theme based events – festivities are always on to ensure that the fun quotient never comes down. However this year, this quotient has gone several notches higher, for 2015 is Discover Thainess year in Thailand, with focus on making travellers experience Thailand like never before. There are new destinations to explore, beauty of Thai hospitality to experience and festivals to attend. The icing on the ‘Thainess’ cake is that every single month of 2015 has something unique to offer to travellers. And the month of April in Thailand is all about Songkran splendours! 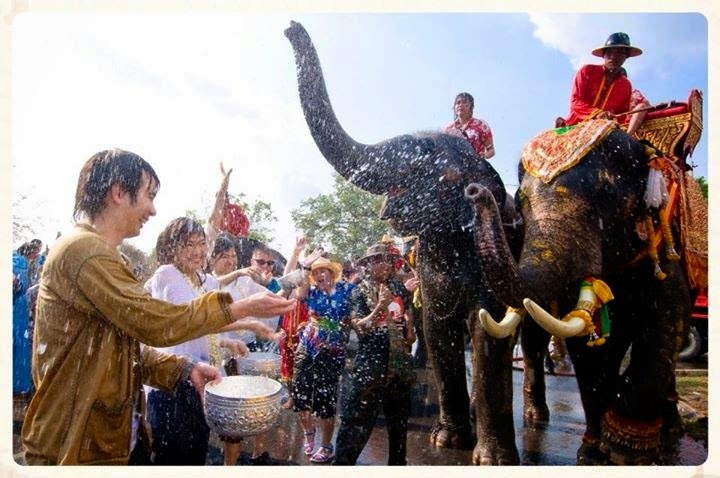 Songkran, derived from the Sanskrit Sankranti is celebrated in Thailand as the Thai New Year. In Thailand this festival is a beautiful mix of solemn and fun rituals. The solemn part sees Thai people gentling pouring/sprinkling water on family members for good fortune, and exchanging good wishes with them. This traditional ritual is a symbol of washing away of sins. The young pour fragrant water on the hands of the elders and seek their blessings. During the festival, people also visit temples to pay their respect to Lord Buddha and give alms to the monks. And now the fun part. The Songkran Festival is also known as the Thailand Water Festival and is the most fun way to beat the summer heat in Thailand. Officially spread across 3 days, this festival lasts over a week and involves locals splashing each other and tourists alike with water. There is much revelry all around, with locals and tourists armed with water guns, buckets and hoses taking to the streets to indulge in fun water fight. While water fights and splashing in the streets sounds much fun, there’s also a lot of symbolism attached to this ritual. 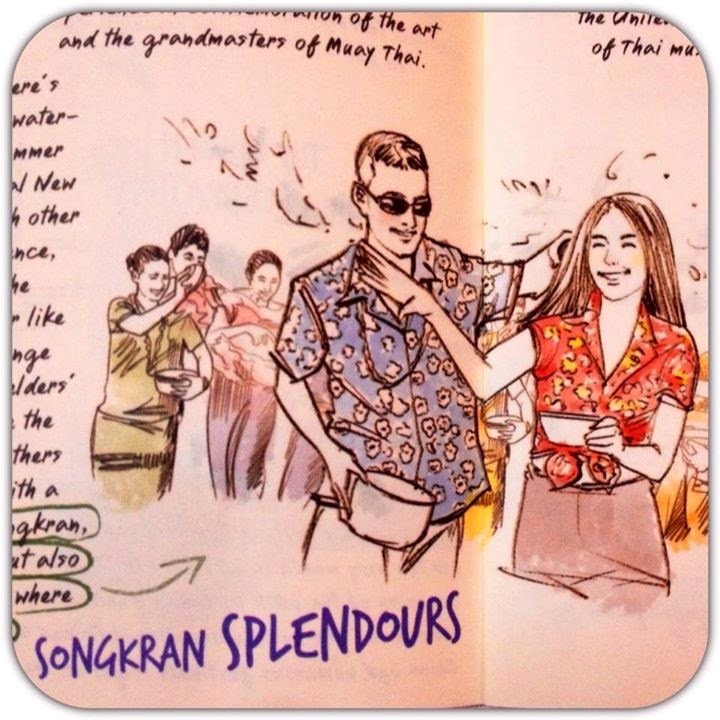 In Songkran, the water does not just provide respite from the soaring heat but also symbolises familial joy of community where people’s lives flow together in harmony. The pouring of water also symbolises washing away of all sins and misfortunes of the year gone by and starting the New Year afresh. The dates for the Songkran festival are based on the Thai Lunar calendar, and this year the festival will take place from the 13th of April to the 15th of April. These 3 days are national holidays but the water fights and street parties last nearly a week. During Songkran, most offices, businesses and restaurants remain close, with people in the cities travelling to their home-towns for family re-unions and to celebrate the festival with their families and friends. Where to go for the Songkran Festival? Songkran celebrations are held across Thailand, but the fervour at major tourist destinations like Bangkok, Pattaya, Chiang Mai, and Khon Kaen give travellers a chance to experience the festival in a grand manner. In these cities, there are commemorative fairs, parades and processions and streets become playground for revelry and water splashing. In Bangkok, the Khao San Road is a popular area for foreigners to make merry indulging in water fights and dousing each other with water and smearing faces with talcum powder. In Chiang Mai, the Songkran festival lasts around five days with events and parades showcasing Thai culture, religious rituals, exotic Thai dishes, and of course the immensely popular water-splashing parties. In Songkhla, a city in southern Thailand, the highlight of the festival is a midnight Songkran fair where the area is lit up with lanterns in all shapes and colours. Tourists then come together for midnight revelry and water splashing which continues in the morning. At places like Khon Kaen and Phra Pradaeng too the Songkran festival is celebrated with much fervour. Hope you enjoyed the post. For more travel stories and travel trivia you can share my window seat!